The capital of Italy and one of the greatest and most ancient cities in the world. The sites that are specifically of interest for dark tourists aren't that numerous, but some are pretty unique. On top of that, one of Rome's (and the world's) top two or three sights for tourism in general, the Colosseum, also has its dark sides that some see as possibly the very earliest form of dark tourism in history. More background info: Rome hardly needs any introduction. The “Eternal City” has so many features that are well familiar to almost anybody, even those who've never actually even been there, that no great overview is needed here. Nor do the basics of its long history need much of a summary. It was the nerve centre of one of the greatest empires in history – everybody knows that. They had Julius Caesar, Nero, Augustus et al. – everybody knows that. They had baths, orgies and gladiators – everybody knows that. After the collapse of the Roman empire the city became the seat of the Catholic Church and the Vatican the home of the Popes – everybody knows that too. The list goes on. So let's just leave all that familiar, mostly ancient history aside and rather jump straight forward a couple of millennia to the time frame that is of the most relevance from the point of view of dark tourism anyway: the 20th century. And dark history in Italy in the 20th century primarily means Mussolini/fascism and WWII. Mussolini led his Blackshirts' March on Rome in 1922 and henceforth installed fascism in Italy, tightening his grip and shaping a full-blown dictatorship characterized by a cult-of-personality extravaganza until he was deposed in 1943. There are, astonishingly, still various relics of Mussolini's fascist architecture to be found in Rome (especially the Foro Italico). His former mansion has become accessible too, including the bunkers that he had built to feel safe from enemy bombs. Luckily Rome for the most part escaped large-scale aerial bombing by the Allies in WWII, but the district of San Lorenzo was hit in 1943 (when the train lines were targeted). And some bombing scars can allegedly still be seen today (I didn't go in search of any though). Italy's post-WWII history is characterized by a baffling frequency of changes of government and at times there were also violent terrorist episodes. One was the kidnapping and murder of prime minister Aldo Moro by the Red Brigades in 1978. But for the most part the chaos of Italian politics has been less deadly. One more recent scandal-laden political reign was that of Silvio Berlusconi, the little neo-mini-Mussolini who used his power as a media tycoon and billionaire to get into the office of prime minister a whopping four times (and for a total of 9 years – a record-breaker in Italian post-war politics). His populist right-wing politics aside, he's mostly infamous for his extravagant private (love) life, and the term largely associated with him is “bunga bunga parties” (involving scores of barley adult young girls a fraction of the man's own age). All this scandalous notoriety and controversy even makes his residence in Rome worth a look for tourists, who can then tut-tut a bit under its windows (it's the Palazzo Grazioli, in Via della Gatta – again, I didn't go there either). Normally, foreign visitors will not get much of all these behind-the-scenes dark goings-on. Out in the street, the biggest distress is rather caused by Rome's infamously chaotic traffic as well as its pickpockets. Mafia-level crime, on the other hand, is rarely seen in the open either. Also located within Rome is of course the Vatican – and that too is given its own separate chapter here, not least because the Vatican City is also considered to be a separate country. In addition to all these places there are a few more locations associated with Mussolini – e.g. the balcony from which he delivered his major speeches at Palazzo Venezia. But nothing is made of this legacy for tourism. However, the very largest edifice from the early 20th century in the heart of Rome, the Monumento Nazionale a Vittorio Emanuele II (completed in the 1920s), though not directly associated with Mussolini, also has certain fascist-architecture-like elements. It's certainly quite over-the-top in many respects, and not just for its monumental size. It's hence a rather unloved national monument and often referred to as the “typewriter” or similar such pejorative designations. 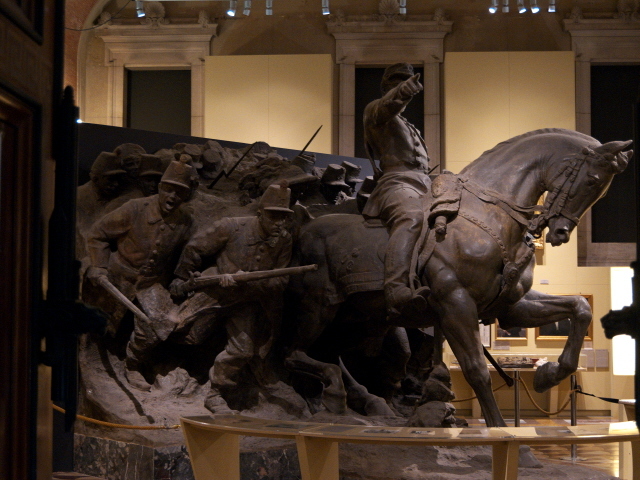 At the front is a Tomb of the Unknown Soldier, while inside is a museum of Italian Unification, complete with yet more militaristic statuary, and the roof can be accessed via a lift at the rear of the building. From up there you get an unobstructed 360 degree view of Rome, and especially of the ancient Roman core of the Roman Forums and the Colosseum just below to the south … over which the monument so controversially towers. From such lofty heights to the underground: Rome is also a city of catacombs! There are scores of them stretching for miles on end underground. Some are quite famous, especially those along the Via Appia Antica (see Ardeatine Caves) that leads out of the city to the south. Some of these are also popular tourist sights because of their associations with early Christianity. From a dark-tourism perspective they are much less remarkable, mainly because almost all of them are empty these days. That is: the actual bodies, or remains thereof, have been removed. The great exception to this is the Capuchin Crypt. The only bones still on display elsewhere are said to be in the Catacombs of Domitilla, but I can't confirm this as I didn't go there. Nor did I find the time to check out Rome's largest cemetery, the Cimitero Monumentale del Verano, covering a huge area just east of the San Lorenzo district. It is said to be quite atmospheric and contains plenty of famous graves, a WWI monument, a communist mausoleum, as well as a Jewish section. Finally, there are countless memorial plaques all over the city, with many commemorating people or incidents related to Rome's darker chapters, e.g. one at Tiburtina railway station commemorating the Nazis' deportation of over a thousand Roman Jews to Auschwitz in October 1943. Or the plaque commemorating the murder of prime minister Aldo Moro (on Via Caetani, between numbers 8 and 9). All in all, I found Rome a fascinating place with plenty of dark appeal to boot, and I am sure there'd be loads more to discover. Unfortunately my only visit to Rome so far (in November 2014) was rather short (if extremely intense! ), so I should make a return visit some day (and then maybe at a more leisurely pace). Location: roughly in the middle of the shaft of the boot that is the shape of Italy on a map, some 125 miles (200 km) north-west of Naples and 300 miles (500 km) south-east of Milan. Access and costs: fairly easy to get to by plane or train; not cheap, but also not quite as expensive as other top metropolises. Details: From most parts of Europe and overseas, Rome will most likely be reached by plane. Its international airport (Fiumicino, code: FCO) is a good 20 miles (30 km) away on the coast to the south-west, but it has excellent connections to the city, in particular the super-convenient “Leonardo” express train. It's a little pricey, but so worth it – absolutely the easiest way to make the transfer. The trains arrive at Rome's central station (Termini) in the heart of the city, from where there are plenty of onward connections, including the only interchange between the two metro lines A and B. Getting around is easy on foot as long as you want to stay within the central parts. The distances between the Vatican and, say, the Colosseum are even walkable if you don't mind strolling down city streets. And if you do like walking in cities, then there's indeed no better way to savour the atmosphere of Rome. But if you have to use public transport – and at least for the Ardeatine Caves you will almost definitely need it – then Rome's no worse than other big cities. The fastest is the metro, but only parts of the network are of particular use to tourists (currently at least, a third line is under construction that may change this). Trams are useful for some journeys too and are a joy to ride – some are super-modern and slick, others endearingly old-fashioned. The same cannot necessarily be said about the buses, which can be rammed full and are susceptible to Rome's chaotic car traffic clogging things up. Driving your own car in Rome is most definitely not something you will want to do! Even if you can handle the stressful chaos, you won't easily find parking anywhere. Accommodation options are as wide-ranging as you would expect for such a city. And with a bit of searching and shopping around in advance good deals can be found in the mid-range bracket, in particular in the area around the main train station, which is also conveniently located, if not especially scenic (by Rome's standards). Food and drink – it almost goes without saying – is very much part of the overall Rome experience and there's no shortage of excellent restaurants. Tourist-oriented joints may not always showcase Italian cuisine to the max, and may be overpriced too, but with just a little preparatory research and a willingness to step just a bit off the main tourist drags you can have culinary highlights en masse. In Italian cuisine that is. Italians are so proud of their own culinary heritage that foreign cuisines are quite under-represented and mostly only to be found in immigrant areas. Time required: For just the dark sites listed above a long weekend may just about be enough, as long as you don't mind densely packed itineraries and lots of walking/using public transport. But the city as a whole deserves much more time than that. A week or two can easily be filled. 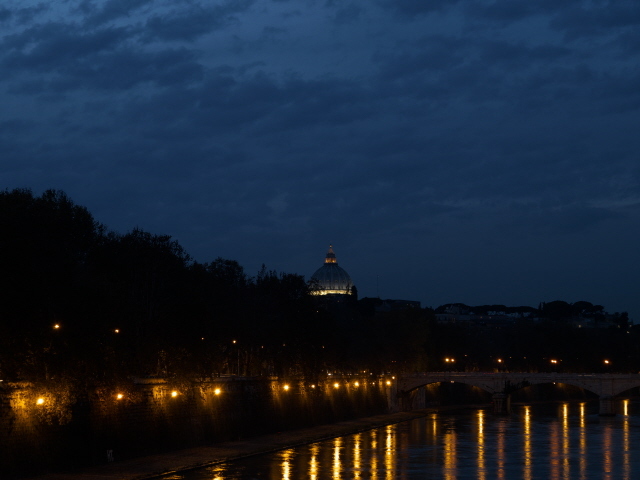 Combinations with other dark destinations: Rome is also the transport hub of central Italy, so getting away and to other parts of the country is easy. The train network is good and allows access e.g. to Naples and Pompeii in just a few hours from Rome. There are even day return package tours to Pompeii and Vesuvius operating from Rome. Bologna with its Museo per la Memoria di Ustica is also fairly easily reachable from Rome, though the much greater distance requires a long journey impossible to do as a day excursion. The other dark places listed under Italy are quite a bit trickier to get to, and will require a car, with the one exception of the Catacombe dei Cappuccini in Palermo, Sicily, a city to where there are flights from Rome. Northern Sicily is also the departure point for boats to the Aeolian Islands with the continually active volcano Stromboli. In addition to the world-famous sites there are loads more that are no less ancient and impressive, such as the many ruins of Roman bathhouses, of which the Terme di Caracalla south of Colosseum are the vastest. Then there is the old City Wall, aqueducts and of course more churches than can be included in a lifetime's prayers. It's impossible to go any further into all this here. There's no need anyway. Countless travel guidebooks and special interest works are available to aid those in further pursuit of such things. But Rome is not just about ancient Roman rubble and papal pomp; it also has its more modern sides. For fans of the ultra-modern there are a few highlights, in particular in the district north of the centre, Flaminio. Here two controversial structures vie for the title most flamboyant expression of modernity. One is the MAXXI, the futuristic home of Rome's contemporary art museum. The other is the striking spaceship-like design of the Auditorium Parco della Musica a few hundred yards to the east. An intriguing clash of the modern vs the ancient can be found at the Museo Centrale Montemartini in the south of the city. Here a converted former power station is now home to an exhibition of ancient sculptures. A hidden gem of art-nouveau-inspired architecture can be found just east of Piazza Buenos Aires (with its Argentinian church): the Coppedè quarter, a work of the architect of the same name, who really let it loose here. It's a cluster of apartment buildings and villas in the most outrageous fantasy style. The details are superb. 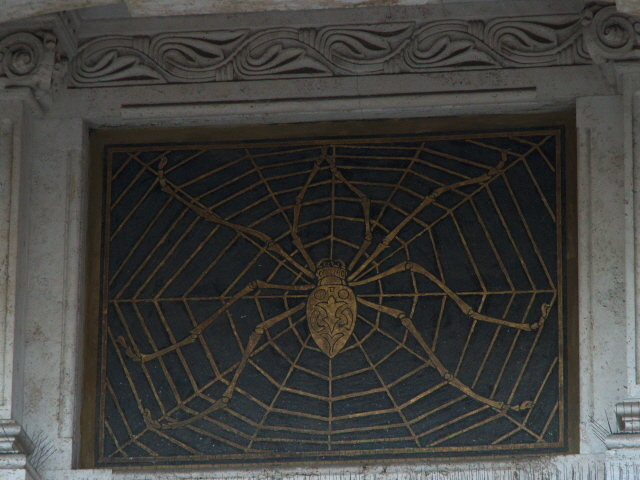 Look out for the large spider mosaic over the door of one of the buildings or the nautical themed murals on the villa just south of the central square. The latter is itself adorned with a fountain where frogs spew water. On the arch over the large gateway-like building at the front of the ensemble you can spot stone bees sitting on the wall, and some of the stone heads integrate into the plant pots above them in a manner that evokes images of Medusa. But the best thing about Rome is simply wandering the old streets, be it in the Centro Storico or the atmospheric quarter of Trastevere across the river (and south of the Vatican), or the hip and fashionable district of Monti. Finally, Rome is also a city of cats – and one of the most remarkable places to prove this is the cat sanctuary at the archaeological site of the Torre Argentina in the heart of the Centro Storico. 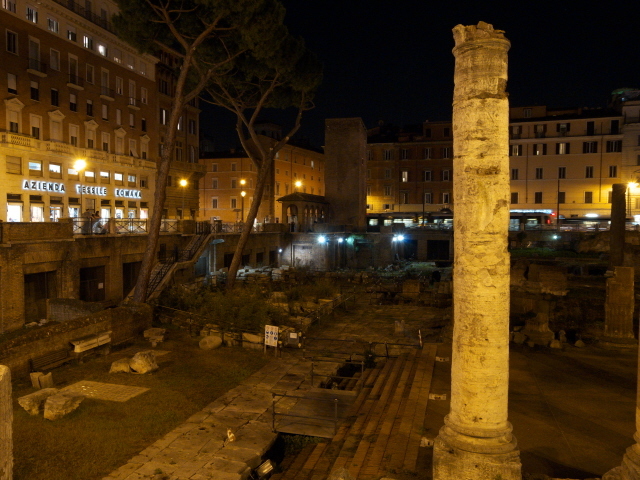 Here you can see dozens of cats roaming about between ancient Roman columns and other ruins and relics. Some of these poor cats have only three legs or missing ears, others are quite intact and look pretty healthy. It is quite a sight to see live cats perched lazily on the plinths of Roman columns as if they were part of the artwork … It's just one of the many quirky sights of which Rome has so many.